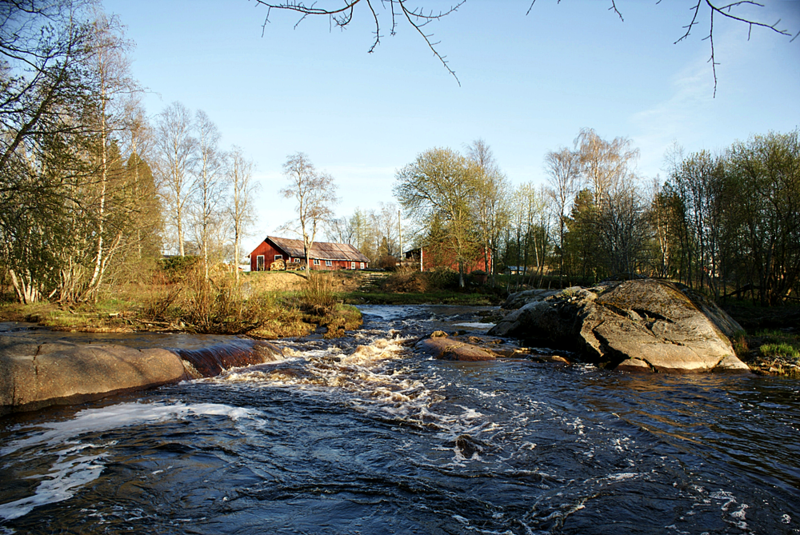 The area of Pärus Fors is connected by a footbridge to Storholmen – a wood of tree hectares and a beautiful island between the rapids. 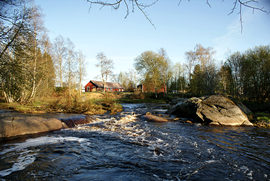 Storholmen is a protected paradise for all nature lovers. 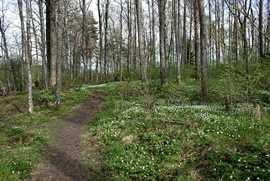 There is a nature trail around and right across the island. 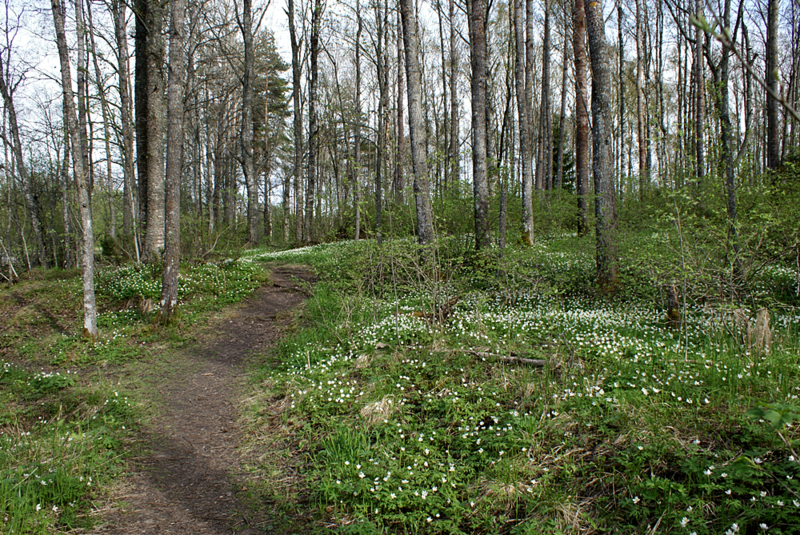 At Mother’s day Storholmen is covered with wood anemones and a couple of weeks later you can enjoy the scent of the bird cherries and lilies of the valley. Later in summer the island is covered by various coloured flowers, for example yellow cow-wheat. The leaf trees of Storholmen attract many birds, and you can for instance see the great spotted woodpecker, lesser spotted woodpecker, grey-headed woodpecker and treecreeper and hear the nightingale and if you are lucky you might see a common otter playing on the bank. In the spring the flooding water and the breaking up of the ice, and the shiny backs of sea trout jumping over the weirs is an unforgettable sight. You can enjoy your packed lunch on the barbecue by the eastern point of Storholmen where you can enjoy your grilled sausage and other dainties.